In the shadow of the Sangre de Cristo Mountains, New Mexico’s Mora Valley harbors the ghosts of history: troubadours and soldiers, Plains Indians and settlers, families fleeing and finding home. There, more than a century ago, villagers collect scraps of paper documenting the valley’s history and their identity—military records, travelers’ diaries, newspaper articles, poetry, and more—and bind them into a leather portfolio known as “The Book of Archives.” When a bomb blast during the Mexican-American War scatters the book’s contents to the wind, the memory of the accounts lives on instead in the minds of Mora residents. Poets and storytellers pass down the valley’s traditions into the twentieth century, from one generation to the next. 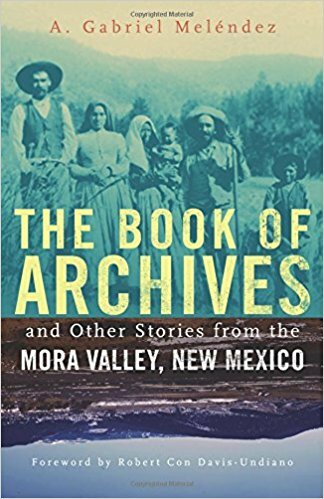 In this pathbreaking dual-language volume, author A. Gabriel Meléndez joins their ranks, continuing the retelling of Mora Valley’s tales for our time. A native of Mora with el don de la palabra, the divine gift of words, Meléndez mines historical sources and his own imagination to reconstruct the valley’s story, first in English and then in Spanish. He strings together humorous, tragic, and quotidian vignettes about historical events and unlikely occurrences, creating a vivid portrait of Mora, both in cultural memory and present reality. Local gossip and family legend intertwine with Spanish-language ballads and the poetry of New Mexico’s most famous dueling troubadours, Old Man Vilmas and the poet García. Drawing on New Mexican storytelling tradition, Meléndez weaves a colorful dual-language representation of a place whose irresistible characters and unforgettable events, and the inescapable truths they embody, still resonate today. Through familiar details--leaking faucets and lowriders, chicharrones and chicken coops--Levi Romero remembers familia, comunidad, and tradiciones from his upbringing in northern New Mexico's Embudo Valley. Alongside his training and jobs in the building trades and the architectural profession, and now a teacher, his writing has maintained and nurtured his connection to the unique people and land he knows so well and that have seldom been represented in American poetry. The Pueblo Food Experience Cookbook is an original cookbook by, for, and about the Pueblo peoples of New Mexico. This cookbook is a product of the Flowering Tree Permaculture Institute, founded by Roxanne Swentzell at Santa Clara Pueblo. Its goal is to promote healing and balance by returning to the original foodways of the Pueblo peoples. The precontact, indigenous diet emphasizes chemical-free meat, fowl, fish and a wide variety of whole grains, nuts, seeds, fruits, and vegetables. Buffalo Tamales, Blue Corn Cakes, and Rabbit Stew are just a few of the unique and delicious Pueblo recipes. 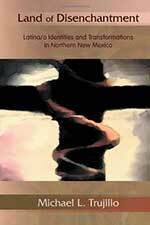 Five thought-provoking essays contribute to the understanding of Pueblo history and culture. 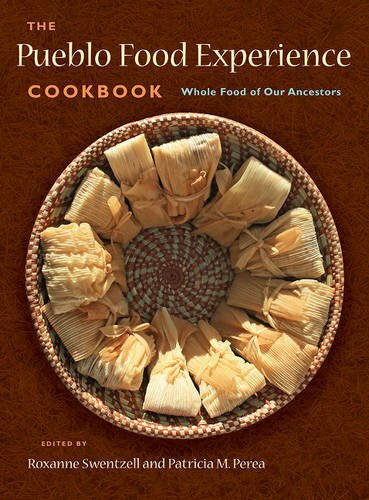 Though written in the Tewa Pueblo of Santa Clara, indigenous peoples everywhere and anyone interested in learning about Pueblo culture and food will delight in this book. "Michael Trujillo's Land of Disenchantment is astonishing, both for its scholarly depth and, more importantly, for its honesty. As an ethnographic study of the Espanola Valley it offers a searing account of the negative realities that trouble Nuevomexicanos: poverty, drugs, violence. 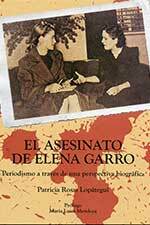 And, yet, Trujillo probes into these social and material difficulties with a spirit that suggests how creativity, identity, and will to survive emerge from tragedy to produce a positive aesthetics of joking, storytelling, weaving, and cultural ritual that keeps people alive to their long history and to their dreams." NEW MEXICO'S ESPANOLA VALLEY IS SITUATED IN THE NORTHERN PART OF THE state between the fabled Sangre de Cristo and Jemez Mountains. Many of the Valley's communities have roots in the Spanish and Mexican periods of colonization, while the Native American Pueblos of Ohkay Owingeh and Santa Clara are far older. In this experimental ethnography, Michael Trujillo presents a vision of Espanola that addresses its denigration by neighbors--and some of its residents--because it represents the antithesis of the supposedly "positive" narrative of New Mexico. Contradicting the popular notion of New Mexico as the "Land of Enchantment," a fusion of race, landscape, architecture, and food into a romanticized commodity, Trujillo probes beneath the surface to reveal the struggle and pain brought about by colonization and the transition from a pastoral to an urban economy, as well as the limits of common ethnographic representations. Land of Disenchantment contains both Trujillo's original ethnography and his explorations of creative works by Valley residents Policarpio Valencia, Jim Sagel, Teresa Archuleta, and G. Benito Cordova. 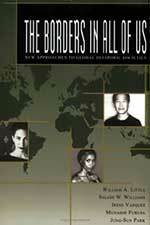 The Borders In Us All: New Approaches to Global Diasporic Societies is a collection of scholarly essay. This volume is unique in its approach to historical Diasporas in that it explores some of the cross currents within Diasporic communities in Africa, Asia, latin American and the United States providing new insight into America's new ethnic majorities. 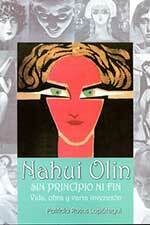 In eighteen chapters the authors examined the historical, political dynamics, and the language/literary traditions and the arts and creative expressions of several ethnic and global Diasporic communities. 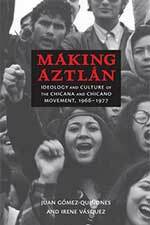 This book provides a long-needed overview of the Chicana and Chicano movement's social history as it grew, flourished, and then slowly fragmented. The authors examine the movement's origins in the 1960s and 1970s, showing how it evolved from a variety of organizations and activities united in their quest for basic equities for Mexican Americans in U.S. society. Within this matrix of agendas, objectives, strategies, approaches, ideologies, and identities, numerous electrifying moments stitched together the struggle for civil and human rights. Gómez-Quiñones and Vásquez show how these convergences underscored tensions among diverse individuals and organizations at every level. 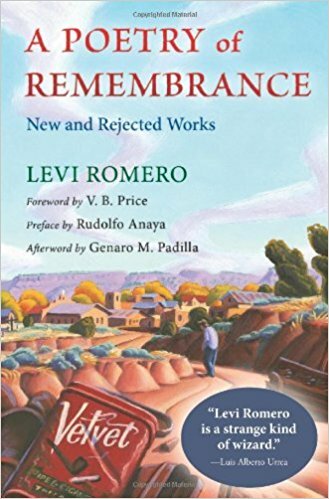 Their narrative offers an assessment of U.S. society and the Mexican American community at a critical time, offering a unique understanding of its civic progress toward a more equitable social order.